The Texas weather and elements put stress on your roof. At Armadillo Roofing, we know how to make your commercial roof withstand our extremes in weather. With over 15 years of Austin commercial roofing experience, we’re one of the areas leading commercial roof system companies. At the beginning of a project, we’ll meet your building owner or management team to go over the roof system and building requirements. 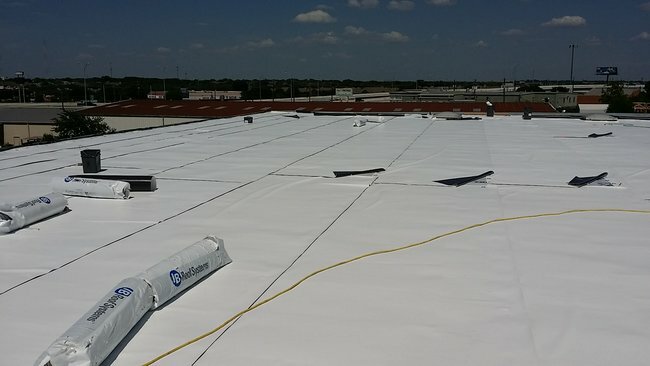 Armadillo Roofing makes safety for our crew and everyone that goes on-site, along with all inventory inside the building, our top priority throughout the commercial roofing project. We strictly follow all OSHA safety requirements. 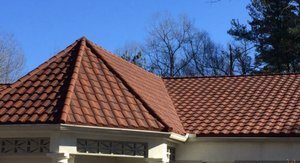 Be Confident that Armadillo Roofing is your right choice. When you choose Armadillo Roofing, you’re in good company. Most of our commercial roofing projects come from repeat customers and referrals from satisfied past customers. We train our crews with the latest technical skillset to make sure our customers are receiving state-of-the-art service. This helps us to make sure that we install long-lasting roof systems and follow roofing material and manufacturer warranty requirements. We guarantee our work on all of our commercial roofing projects, whether its a simple repair or an entire roof installation. In your agreement, you’ll find your warranty for both workmanship and material. When we go over our project estimate with you we’ll also review the warranties. 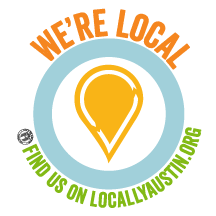 Call us at (512) 333-7663 and we’ll get you a free commercial roofing estimate. To start the process, we’ll meet with your construction project manager team to evaluate the buildings requirements – the roofs current condition, how energy efficient the current roof is and the best materials and color options for the project. We have expertise on a variety of commercial roofs:. At the start of each project, we’ll inspect the current roofs condition and look for any moisture entry points and if there’s any damage that isn’t easily seen. From that inspection, we’ll determine if the roof can be repaired and what the remaining life expectancy is. If we find it can be repaired, we’ll put together an ROI analysis that will help you figure out whether you want to repair the existing roof or replace it with a new one. If you’re thinking about repairing or replacing your commercial roofing system, consider Armadillo Roofing – our team of highly trained commercial roofing professionals will make sure your roofing system is either repaired or installed to the highest professional standards. Call us at (512) 333-7663 for a free commercial roofing estimate.